Perfectionist Auto Sound & Security in Anchorage has been at the forefront of driver safety since the beginning, and our blind spot safety systems are one of the best ways to make your drive safer. We have all started to change lanes while driving, only to realize at the last second that a vehicle was in our blind spot. Wouldn’t it be great if there was a product that would help you know if a car, truck or SUV was actually there? Now there is a solution for this problem. The first type of system uses two hidden sensors that go inside your rear bumper. They use radar technology to detect the presence of a vehicle in either your left or right blind spot. When you are driving aling the road and someone comes up behind you on the left side and enters your blind spot, a visual indicator illuminates. We place the sensor in a strategic location on the left side in easy view of the driver. Should you decide to activate your left turn signal, you get an audible alert combined with the visual one as a second attempt to help you avoid an accident. If someone comes into your right side blind spot, the system works the same way as for the left side. These sensors are not affected by poor weather or night-time driving. The second style of blind spot systems that we sell at Perfectionist Auto Sound & Security is camera-based. 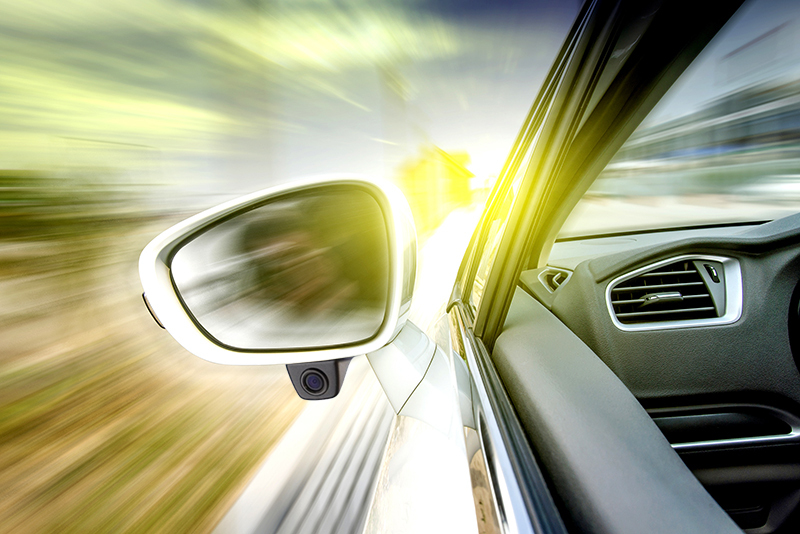 On a typical car, truck or SUV, we install a camera underneath your sideview mirrors that is aimed at the blind spot on that side of the vehicle. If you own a commercial vehicle, we determine the camera location once we look over the vehicle with you. 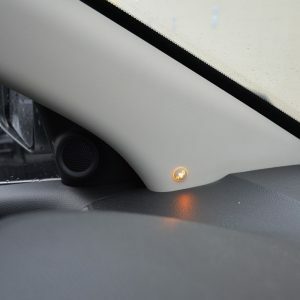 Now, when you are driving up the road and activate your left blinker, the camera for the left blind spot goes live, and the image is displayed on the screen in front of you. If you activate your right blinker, the camera for that side goes live and displays what is in your right-hand blind spot. 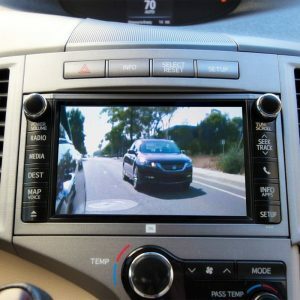 You have four different options for displaying an image from your blind spot cameras. Integrating the color display in your dash to display the image is a popular option for many vehicles. You also can have us install a replacement rearview mirror with an embedded LCD monitor that display the blind spot cameras. You can replace your existing stereo system in the dash with one that has a color touchscreen display. It will now show the images from your cameras. Add a standalone monitor to display the blind spot images. This option is very popular in commercial applications. The next step in getting a blind spot system for your vehicle is to stop in and see us for yourself. Our team of highly trained experts will look over your vehicle, get to know you better and help find the best blind spot solution for your needs. Let us show you why we are one of the most-awarded mobile electronics retailers in all of North America.